Tennessee has terrific country music, incredible scenery, and world-class whiskey. But that is not why Missouri Gov. 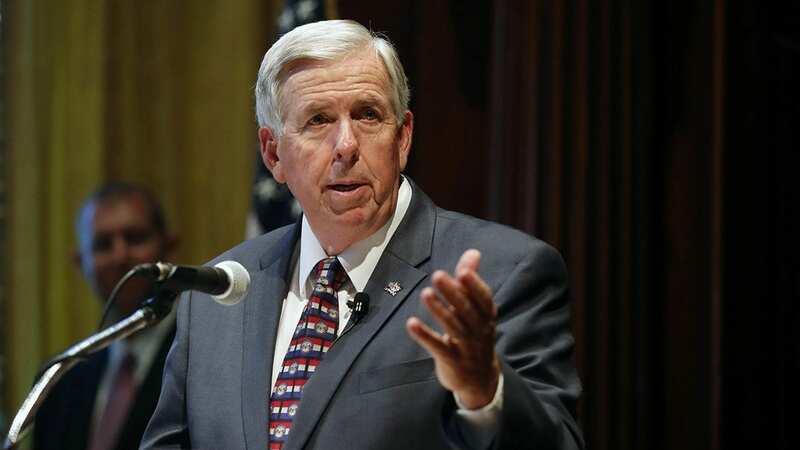 Mike Parson envies our neighbor to the south and east. He’s interested in emulating more prosaic things like improved academic achievement, rising high school graduation rates — and the nearly half a million private-sector jobs created in Tennessee since 2011. Missouri, in contrast, ranks in the bottom half among peer Midwestern states in job growth, wage growth and per capita income, according to data unveiled at the recent Conference on Economic Development that Parson hosted in Kansas City. The data isn’t much better when it comes to postsecondary achievement in Missouri. But times have not always been so good in the Volunteer State, Tennessee Gov. Bill Haslam said in his keynote address at the conference, held at the Marriott Kansas City Downtown. Unemployment stood at nearly 10 percent when Haslam took office in 2011, as the state struggled to emerge from the Great Recession. Narrowing the skills gap became Haslam’s top focus. He started with “Tennessee Promise,” a guarantee of two years free technical training or community college for all the state’s high school graduates. Recently the legislature extended the offer to include all adults who aspire to training beyond high school. But leaders also recognized that free postsecondary education would be wasted unless students emerged from high school better prepared, Haslam said. The state raised academic expectations and realigned curriculums to better match the skills needed in today’s workforce. Haslam, a Republican, said some of the fiercest opposition initially came from members of his own party. They saw Tennessee Promise as another entitlement program. That meant expanding the state’s technical school network to reach rural areas through broadband and satellite campuses in out-of-the way locations. And state government began offering short-term grants to help communities meet specific needs — a training program for a new employer, for instance. Since taking office in June, following the resignation of former Gov. Eric Greitens, Parson has directed his administration to focus both on recruiting and retaining businesses and improving the pipeline of skilled workers that will make those enterprises successful. Everyone knows it will take more than catchy slogans for Missouri to do the hard work of educating workers to thrive in the new economy and convincing employers to locate 21st Century jobs in the state. In an interview following the conference, Mulligan and Dixon gave some hints about what that action will look like. Financial aid for state-funded colleges and universities and the students who attend them is likely to look different, Mulligan said. Funding for schools will be more closely tied to their success not only in handing out degrees but also awarding certificates that will lead to good-paying jobs. Students will be offered incentives to enroll in high-demand fields. And adult learners are likely to find that more aid is available for them to enroll in training programs that lead quickly to employment. On the economic development front, the state is likely to take a more active role in matching workers with businesses, Dixon said. Instead of asking businesses to locate here and leaving them to their own devices, state agencies or colleges can be expected to help recruit, screen and train potential employees. Over the next few months, officials will firm up concrete proposals that will find their way into legislation for the 2019 General Assembly and also into Parson’s state-of-the-state address in January. “Workforce development is the conversation of the moment,” Mulligan said. In the upcoming weeks, Flatland will detail some workplace development issues by highlighting portions of Parson’s conference that focused on nonprofits, schools and cities. —Barbara Shelly is a veteran journalist and writer based in Kansas City. Follow Flatland @FlatlandKC. Why Do You Live in The City?